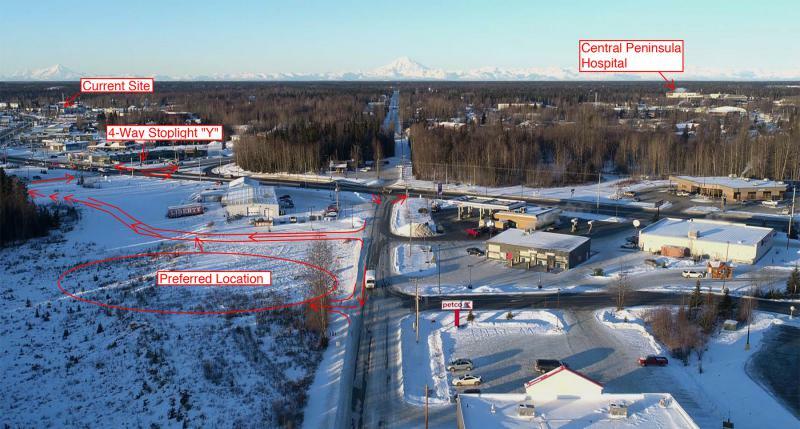 Plans to relocate Central Emergency Services Station One in Soldotna are on hold for now. The borough assembly was supposed to vote on an ordinance approving the purchase of property near the intersection of the Sterling and Spur highways at its meeting last week. But that ordinance was withdrawn after the borough was unable to come to terms with one of the property owners. Borough Land Manager Marcus Mueller says they’re reworking plans to fit the new station in the same general area. The property was to be paid for with a 10-year, $1.5 million loan from the borough’s capital fund. Mueller says regardless of the location, it will need to serve the area for decades, as the current station has since the 60’s. “We done a really hard look at what the landscape is around Soldotna, trying to make sure we can find a site that has good soils and the right infrastructure to support emergency support. The area we’re looking at has that. There’s a high-value commercial property out front, and we’re looking at the space behind that. That would likely give the new station access via the relatively new Homestead Lane and Redoubt Avenue. Mueller says they’re taking the rest of the month of September to work on a purchase agreement, but also listen for other ideas. And you can share your input by emailing the borough lands department at lmweb@kpb.us or by calling 714-2205. The deadline is October 1st. The ordinance authorizing the purchase of land for a new Central Emergency Services station gets its next public hearing next week before the borough planning and zoning commission. 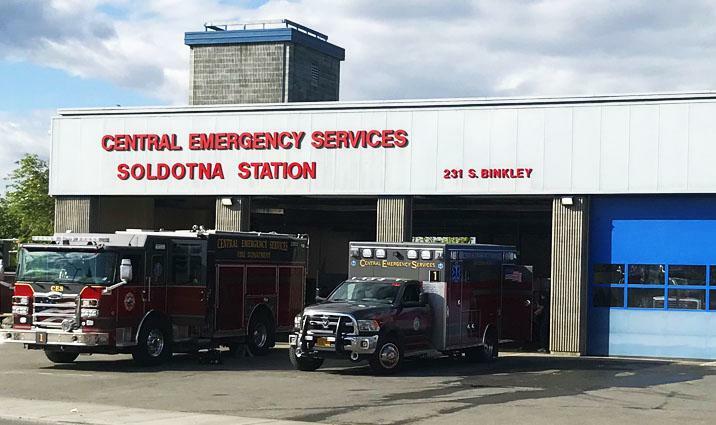 Central Emergency Services in Soldotna is hoping to be a little less centrally located by building a new Station 1 on a larger lot with more room to grow. 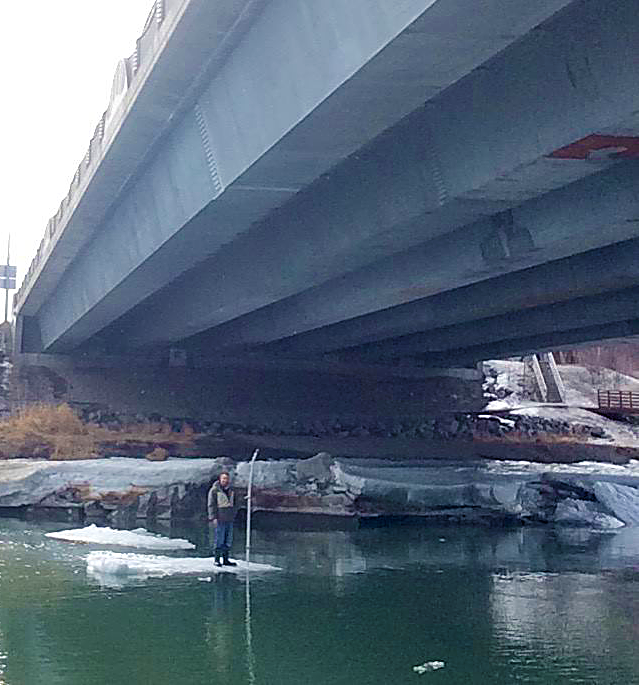 Saying the season for ice berg surfing only lasts three days or so, one young man has been raising eyebrows along the Kenai River between Soldotna and Kenai. Andrew Malone of Soldotna said he’s been riding the ice floes on the Kenai for four years, and he says people stop and take pictures and wave. Sometimes, like on Thursday, someone calls 911 thinking he’s being swept out to sea. But, as you may have read in the Clarion, CES responders were familiar with Malone and his impromptu float trips.